Mt Kilimanjaro offers five great routes to summit. Ras Nungwi beach in Zanzibar is famous for its charm & beauty. .
We are looking for Businessman / Tour operator or any person interested to invest in Tanzania. We can offer 49% partnership for any suitable person in our tourism company. Please don’t hesitate to Contact Us if you are interested. Jalala is a brave and pioneering entrepreneur with a true passion. Before founding AAA Express Adventures, he spent a number of years earning his stripes, both in wildlife tourism and Mountain Climbing. 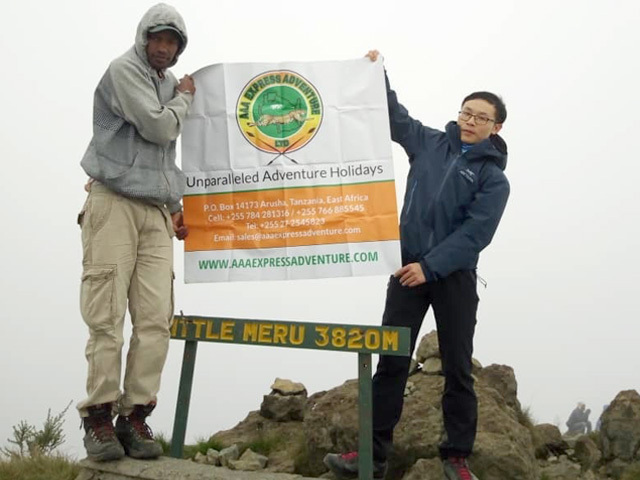 AAA EXPRESS ADVENTURE LTD is a Tanzania based Safari Company specializes for Mountain climbing, safari to all around Tanzania National Parks, Zanzibar beach holidays, mafia beach holiday and Mafia beach. Our tours include some of the most remote and beautiful regions of Tanzania.